Stuart Turton’s dazzling debut, “The 7 ½ Deaths of Evelyn Hardcastle,” mixes "Downton Abbey" with "Groundhog Day" — and a body count. 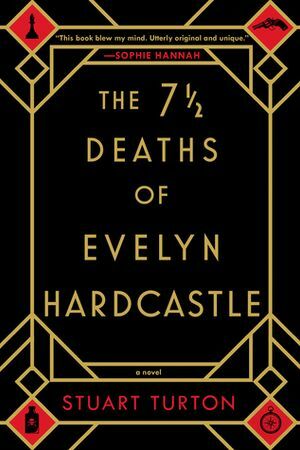 Don’t even bother with a scorecard when tackling Stuart Turton’s dazzling debut, “The 7 ½ Deaths of Evelyn Hardcastle” (Bloomsbury, 432 pp., $25.99). You’ll be lost within pages in this wickedly complex maze of a book, but finding your way out is half the fun. “7 ½” is pigeonhole-proof, though a rough description might encompass murder mystery crossed with speculative fiction. Turton, a young Briton, recently commented in an interview, “If you think ‘Downton Abbey’ with a body count, you’re halfway there.” Throw “Groundhog Day” into the mix, too. There are some standard Agatha Christie-style elements here: 1920s era country estate, aristocrats, eccentric guests and servants, all present for a gala masquerade ball. The doctor’s first message: Aiden has eight chances to solve the murder of Evelyn Hardcastle, the cool-as-a-cucumber daughter of the house. One catch: The murder won’t happen until that evening. But here’s the big twist: Aiden wakes up each day in the body of one of the others. Both physically and mentally, he has to work within each, juggling male/female, old/young, high/low social status, and so on. Every day Aiden fails to stop the murder, landing him in another body the next morning. If he doesn’t succeed by the eighth day, the plague doctor tells him, his memory will be wiped and he’ll have to start all over. He’s already done this hundreds of times. And, it seems, he’s not the only one jumping bodies. Turton isn’t quite able to overcome a common criticism of Christie-style writers: That the puzzle is more important than the depth of its characters. Nonetheless, as a brain-baffler “7 ½” is hard to beat. 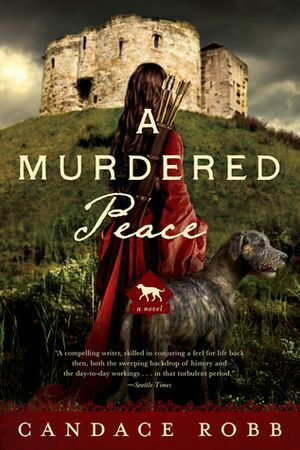 On the local front: two Seattle-area writers have excellent, atmospheric new books out: Candace Robb’s “A Murdered Peace” (Pegasus, 304 pp., $25.95) marks the return of Kate Clifford, who in York, England, in the politically tumultuous year of 1400 must prove her beloved cook innocent of murder. Meanwhile, Martin Limón’s “The Line” (Soho, 384 pp., $26.95) continues the adventures of George Sueño and Ernie Bascom, U.S. Army cops in 1970s Korea investigating the death of a South Korean soldier — a murder that threatens to spark an international incident.